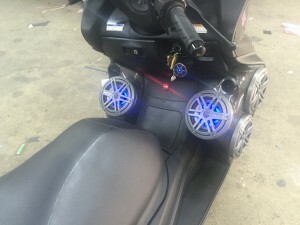 We installed custom fiberglass pods with custom paint to hold 3 sets of JL audio marine 6.5 coaxials with Blue led lights in the speakers. 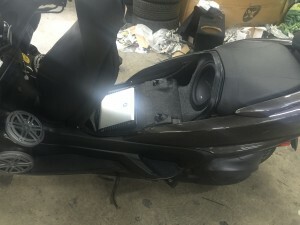 A JL audio marine bluetooth/ipod controller as headunit. 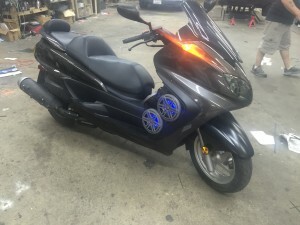 We custom painted the whole scooter back to new. 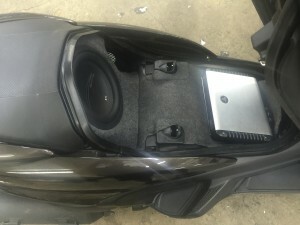 One 10″ Phoenix gold sub for bass with a customized fiberglass enclosure. 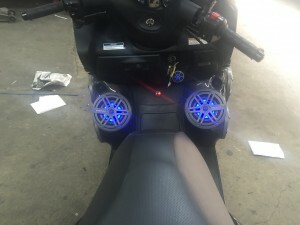 We installed a VMAX 750 as a second battery to power system with a JL Audio HD900/5 to rock the system. 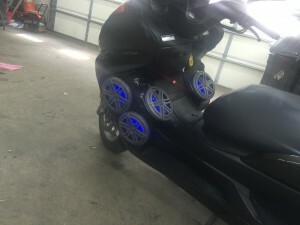 We installed a voltage meter display so customer can watch his power as he bangs his system. 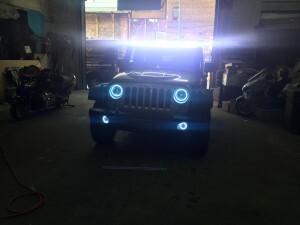 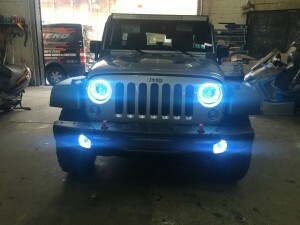 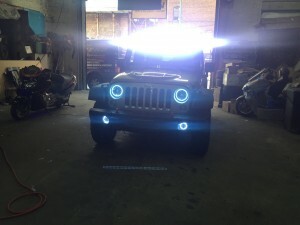 We installed custom LED Halo headlights, Tint and fog lights. 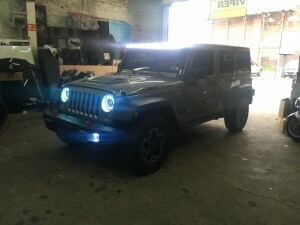 We also installed a custom 50″ light bar with custom brackets. 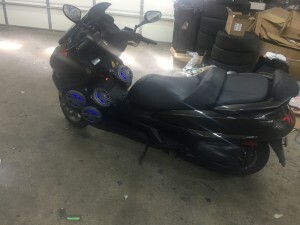 We installed a Viper alarm and remote start. 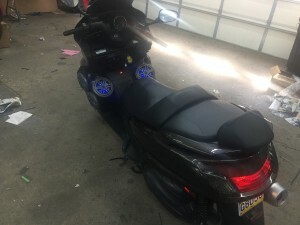 2008 Honda Civic with custom wheels,custom exhaust, custom intake and a custom body kit. 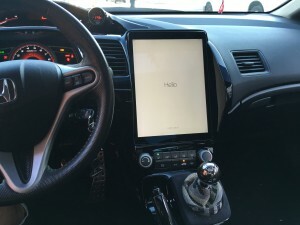 Fiberglassed a 12″ Ipad air in the center dash. 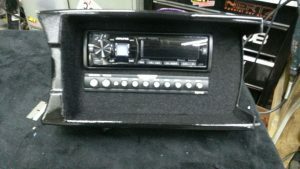 We installed an Alpine INE-164bt and relocated in the center console.